Come in as a stranger, leave as a friend! Orange is the new black, strong is the new fit, 40 is the new 20… How many times have these phrases been said? 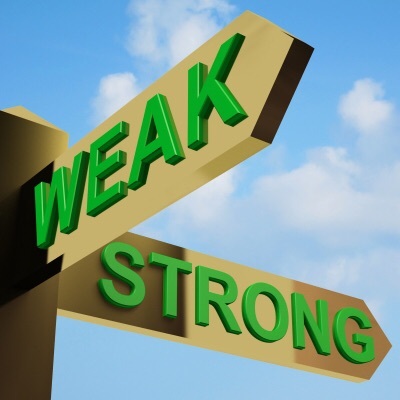 I would like to add another to my vocabulary, weak is the new strong. When we accept, understand, and surrender our weakness, then and only then are we truly strong, stronger than we have ever been before. I challenge us into a new way of thinking, to surrender doing things in our own strength because our Savior is stronger than EVERYTHING. Allowing ourselves to be weak, so He can be strong for us. The Eye Man’s doors first opened in 1994. And began as a small, family-owned and operated business in the B&A Industrial Park. By trusting in God as their provider and implementing an attitude of servitude, The Eyeman strives to provide impeccable quality at a competitive price. Are your feelings getting the best of you? Virtual eyewear, a new trend. Don't take our word for it, hear what our customers have to say about their experience. Follow and Like us to stay up to date with our special offers and current trends in eyewear. © 2019 The Eye Man Optical. All Rights Reserved.